The Bridge Club at Georgia Tech welcomes all students, faculty and staff who are interested in the game of bridge. Our members range in skills from beginner to intermediate to advanced. Join the GT Bridge Club to learn to play bridge with no prior knowledge, or to improve your skills. We will teach you the rules of the game, explain the bidding conventions, and help you advance your skills in the play of the cards. Playing bridge improves your logic and memory skills. The GT Bridge Club is a great place to socialize and make new friends. Bridge is also a competitive activity. You can participate in ACBL games and tournaments. We hold bridge games every week when school is in session. If you would like to be kept informed about our bridge games and other activities, please subscribe to our email list. Please check our events calendar for information about activities and events of interest, including up-to-date information about the location of our weekly bridge games. Basic information about Bridge, including rules, various types of bridge games, scoring, and introductory material to bidding and card playing. A comprehensive overview of the bidding system known as Standard American Yellow Card (SAYC). Notes explaining in greater detail the appropriate use and meaning of some of the more common SAYC bidding conventions. Four teams from the Georgia Tech Bridge Club competed in the first preliminary online round of the 2019 Collegiate Bridgebowl. The results of all the matches played by our teams are available here. 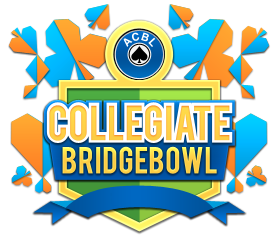 The final round of the 2019 Collegiate Bridgebowl will be played July 25–27 during the 2019 Summer NABC in Las Vegas.